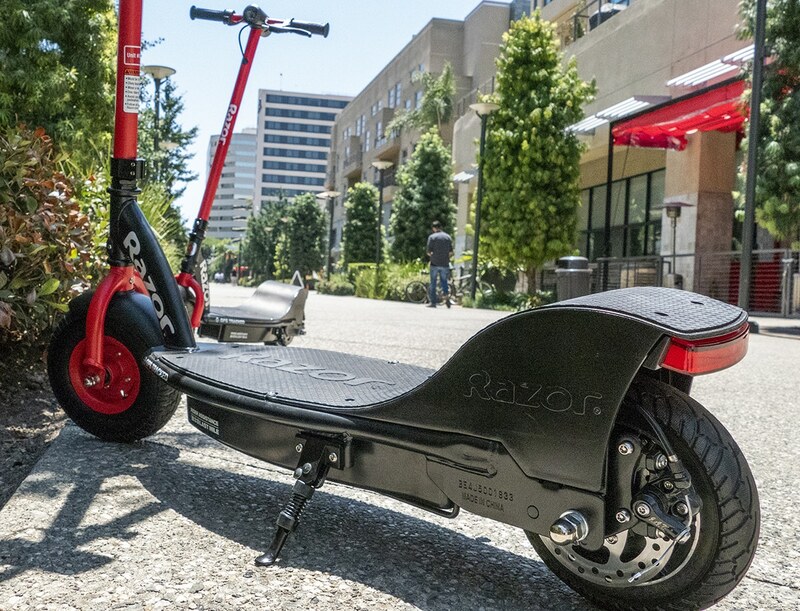 A Razor electric scooter is parked on the Promenade in downtown Long Beach on August 3, 2018. Photo by Thomas R. Cordova. After debuting a $5.25 million program that will focus on five cities across the nation, the Knight Foundation focused on its efforts in Long Beach by announcing that it will expand first-mile, last-mile transit options that are electric- and human-powered, including self-driving vehicles. The grant is part of the Foundation’s Smart Cities initiative, launched earlier this year, that focuses on examining the role of technology in the lives of residents and the effects that has on governance, space, and livability. The ultimate questions being posed by this specific grant are: How will cities and technology adapt to the eventual removal of human agency from transportation? How will each adapt to folks who wish to travel increasingly shorter distances for their needs? The move by Knight is a reasonable if not outright smart one: As cities across the U.S. have amped up its transit alternatives, from bike shares and scooters to electric buses and ride share, preparation, or a lack thereof—through both infrastructure and operations—has a vast impact on urban mobility. DuPuis noted that, according to research by the National League of Cities, only 6 percent of mobility and transit plans include driverless technology and only 3 percent take into account ride share operations like Lyft, which operate in every major U.S. metropolitan area. Meanwhile, half of all plans include expansion of roadways for individual car use despite overwhelming evidence that arterial expansion leads to more traffic and congestion. Furthermore, DuPuis’ comments correlate in two ways when it comes to Long Beach: on one hand, we have her notes about archaic planning given the current 710 expansion and, on the other hand, we have the extensive complete streets improvements that are being helped along via Measure A funds, particularly the Broadway Corridor project. San Jose: To better integrate autonomous vehicles with other forms of transit and help improve public life by connecting residents to jobs, and destinations for retail and nightlife, in downtown San Jose.